IT is not strange that the fact of his adoption should meet with much misgiving in the Christian’s mind, seeing that it is a truth so spiritual, flows from a source so concealed, and has its seat in the profound recesses of the soul. The very stupendousness of the relationship staggers our belief. To be fully assured of our divine adoption demands other than the testimony either of our own feelings, or the opinion of men. Our feelings—sometimes excited and visionary—may mislead; the opinion of others—often fond and partial—may deceive us. The grand, the divine, and only safe testimony is “the Spirit itself bears witness with our spirit.” There exists a strong combination of evil, tending to shake the Christian’s confidence in the belief of his sonship. Satan is ever on the watch to insinuate the doubt. He tried the experiment with our Lord: “If You be the Son of God.” In no instance would it appear that he actually denied the truth of Christ’s Divine Sonship; the utmost that his temerity permitted was the suggestion to the mind of a doubt; leaving it there to its own working. Our blessed Lord thus assailed, it is no marvel that His disciples should be exposed to a like assault. The world, too, presumes to call it in question. “The world knows us not, because it knew Him not.” Ignorant of the Divine Original, how can it recognize the Divine lineaments in the faint and imperfect copy? It has no vocabulary by which it can decipher the “new name written in the white stone.” The sons of God are in the midst of a crooked and perverse nation, illumining it with their light, and preserving it by their grace, yet disguised from its knowledge, and hidden from its view. And thus are the children of God constantly tempted to question the fact of their adoption. The spiritual troubles which encompass the Christian are the deepest and the severest of all his trials. What, in comparison, are others? Our Lord keenly felt this when He uttered that affecting exclamation, “Now is my soul troubled; and what shall I say? Father, save me from this hour but for this cause came I unto this hour.” What to Him- galling and agonizing as they were- what to Him the smiting, and the scourging, and the spitting, and the excruciating torture, compared with the sword which was now entering His soul- the mental conflict and spiritual sorrow which, in the hour of atonement, amazed, staggered, and overwhelmed Him? Listen again to His affecting cry: “My soul is exceeding sorrowful, even unto death.” Then, withdrawing Himself from His disciples- for the human sympathy upon which He had relied in anticipation of the hour of suffering failed Him now- retiring from man, He flung Himself upon the bosom of God, and kneeling down, He prayed, “O my Father, if it be possible, let this cup pass from me!” Such, my soul, was the conflict which your Savior endured for you! Partakers of Christ’s sufferings, all true believers are in a measure acquainted with some of those soul troubles which thus overwhelmed the Son of God. The suspensions of Divine consolation- the hidings of God’s countenance- the assaults of Satan- the contact and conflict with sin- are bitter ingredients in that cup of spiritual sorrow of which they are sometimes called deeply to drink. Are you, beloved, walking in the midst of trouble? Think not that you are alone. May your eye of faith be “anointed with fresh eye-salve,” to see One walking side by side with you, the same who walked with the three children through the fiery furnace, “whose form is like the Son of God.” Yes! Jesus is with you in your trial. Christ is with you in your trouble. The path, however strait, is not so narrow that your Lord cannot tread it with you, side by side. Your way is not so intricate that He cannot enable you to thread your steps through the labyrinth. There is room enough for you and Christ to walk together. He is with you; though, like the two disciples journeying in mournful communion one with the other to Emmaus, your eyes may be so blurred that you see Him not, yet is He traveling with you along that sad and mournful, that lone and pensive path. Christ is in your adversity- Christ is in your cross- Christ is in your burden- Christ is in your suffering- Christ is in your persecution- Christ is m your sickness- yes, Christ is at your side every step you take, and He will conduct you safely to your Father’s house. Though you walk in the midst of trouble, He will revive you. Few of the children of God are ignorant, more or less, of Satan’s devices. But few are exempt from the “fiery darts ” of the adversary; our Lord Himself was not. Many, peculiar, and great are their temptations. They are often those which touch the very vitals of the gospel, which go to undermine the believer’s faith in the fundamentals of Christianity, and which affect his own personal interest in the covenant of grace. Satan is the sworn enemy of the believer- his constant, unwearied foe. There is, too, a subtlety, a malignity, which does not mark not the other and numerous enemies of the soul. But what are some of the devices of the wicked one? What are some of his fiery darts? Sometimes he fills the mind of the believer with the most blasphemous and atheistical thoughts, threatening the utter destruction of his peace and confidence. Sometimes he takes advantage of periods of weakness, trial, and perplexity to stir up the corruptions of his nature, bringing the soul back as into captivity to the law of sin and death. Sometimes he suggests unbelieving doubts respecting his adoption, beguiling him into the belief that his professed conversion is all a delusion, that his religion is all hypocrisy, and that what he had thought was the work of grace is but the work of nature. But by far the greatest and most general controversy which Satan has with the saint of God is, to lead him to doubt the ability and the willingness of Christ to save a poor sinner. The anchor of his soul removed from this truth he is driven out upon a rough sea of doubt and anguish, and is at the mercy of every wind of doctrine and every billow of unbelief that may assail his storm-tossed bark. But in the midst of it all, where does the comfort and the victory of the tempted believer come from? From the promise which assures him that “when the enemy shall come in like a flood, the Spirit of the Lord shall lift up a standard against him.” And what is the standard which the Spirit, the Comforter, lifts up to stem this flood? A dying, risen, ascended, exalted, and ever-living Savior. This is the standard that strikes terror into the foe; this is the gate that shuts out the flood. So the disciples proved. This is their testimony: “And the seventy returned again with joy, saying, Lord, even the devils are subject unto us through Your name.” Immanuel is that name which puts to flight every spiritual foe. And the Comforter, which is the Holy Spirit, leads the tempted soul to this name, to shelter itself beneath it, to plead it with God, and to battle with it against the enemy. Dear reader, are you a target against which the fiery darts of the devil are leveled? Are you sorely tempted? Do not be astonished as though some strange thing had happened unto you. The holiest of God’s saints have suffered as you are now suffering; yes, even your blessed Lord, your Master, your Pattern, your Example, and He in whose name you shall be more than conqueror; was once assailed as you are, and by the same enemy. And let the reflection console you, that temptations only leave the traces of guilt upon the conscience, and are only regarded as sins by God, as they are yielded to. 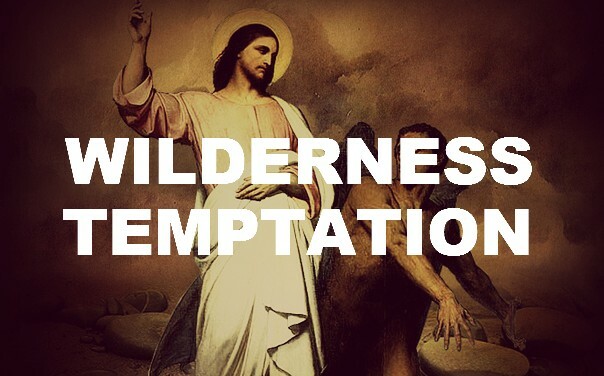 The mere suggestion of the adversary, the mere presentation of a temptation, is no sin, so long as, in the strength that is in Christ Jesus, the believer firmly and resolutely resists it. “Resist the devil, and he will flee from you.” Jesus has already fought and conquered for you. He knew well what the conflict with Satan was. And He remembers, too, what it is. Lift up your head, dear tempted soul! You shall obtain the victory. The seed of the woman has bruised the serpent’s head; yes, has crushed him, never to obtain his supremacy over you again. He may harass, annoy, and distress you; but pluck you from the hollow of the hand that was pierced for you, he never can. DO YOU THINK, my reader, was it no humiliation for the Son of God to be thus assailed by the prince of darkness? Was it no degradation, that His dignity should be questioned, His authority disputed, His reverence for and allegiance to, His Father assailed, and His very purity tampered with by a fallen and corrupt spirit whom He had ejected from heaven? Ah! how deeply and keenly He must have felt it to be so, the first moment He was brought in contact with this arch-fiend and subtle foe of God and man! But, oh, what glory beams from beneath this dark veil of Christ’s humiliation! How lovely and precious an object does He appear to saints and angels in this wondrous transaction! What holy sympathies and fond affections are kindled in the heart, and rise towards Him, as the eye surveys each particular—the appalling nature of the onset—the shock which His humanity sustained—the mighty power by which He was upheld—the signal victory which He achieved—the Divine consolation and comfort which flowed into His soul as His vanquished enemy retired from the conflict, leaving Him more than conqueror—and above all, the close and tender sympathy into which He was now brought with a tempted Church! These are features replete with thrilling interest and rich instruction, on which the renewed mind delights to dwell. But our Lord’s humiliation went deeper still than this! The clouds now gathering around Him grew darker and more portentous as He advanced towards the final conflict. We must consider the first step of His bearing sin, the painful consciousness of which increased as the hour of its atonement drew on, as forming one of the most overwhelming demonstrations of that voluntary abasement to which He had stooped, and through which He was now passing. In the following passages this great truth of the Gospel is explicitly and emphatically stated. And let it be borne in mind, that when the Holy Spirit represents our Lord as bearing sin, the statement is not to receive a figurative, but a perfectly literal interpretation, as asserting a solemn and momentous fact. He bore not the appearance of sin, or the punishment merely of sin, but the sin itself. Thus does the Holy Spirit declare it: “He was wounded for our transgressions, He was bruised for our iniquities.” “The Lord has laid on Him the iniquity of us all.” “He shall bear their iniquities.” “He bare the sin of many.” “Who His own self bare our sins in His own body on the tree.” “He has made Him to be sin for us, who knew no sin.” There stood the eternal God, in the closest proximity to the evil one. Never did two extremes, so opposite to each other, meet in such near contiguity and collision. Essential sin, essential holiness; essential darkness, essential light; essential hatred, essential love; man’s deadliest foe, man’s dearest friend. What an hour of seeming power and triumph was this to the grand adversary of God and man! what an hour of deepening gloom and humiliation and defeat to God’s beloved Son! How would this Lucifer of the morning exult, as with the swellings of pride he placed his foot upon incarnate Deity! And how keenly and powerfully conscious would Jesus be, at that moment, of the deep abasement and degradation to which He had now sunk! But behold how this great transaction contributed to the deep humiliation of the Son of God. What must have been the revulsion of moral feeling, what the shrinking of His holy soul, the first instant it came in personal contact with sin! What a mighty convulsion must have rocked His human nature, pure and sinless as it was! Saint of God! what composes your bitterest cup, and what constitutes your keenest, deepest sorrow? Has a tender Father blown upon your blessings, removed your mercies, lessened your comforts, darkened your bright landscape, dried up your sweet spring? Is this the cause of your shaded brow, your anxious look, your tearful eye, your troubled and disconsolate spirit? “Ah, no!” you perhaps exclaim; “rid me of this body of sin, and you chase the cloud from my brow, the tear from my eye, and the sorrow from my heart. It is the sin that dwells in me.” Do you think, then, what the spotless Lamb of God must have felt, and how deeply must it have entered into His humiliation—the existence of an all-absorbing, ever present, and ever painful and humiliating consciousness of bearing upon His holy soul iniquity, transgression, and sin!